Our eyes observe so many things throughout the day. You could be flipping through a magazine or the newspaper, scrolling through Facebook, or watching television show after television show. There are a lot of ads through those three mediums and a lot of text. As a business owner, ads are the way you attract customers and business, so of course, you want your ad to stand out amongst the crowded media. You can achieve this with the right ad layout and the right font. Another way can solely depend on which font you choose to use and how you use it. Picking the right font can make all the difference in determining whether your ad is successful. And there are literally thousands upon thousands of fonts to choose from. How do you make the decision of which font is right for your ad? Depends on the overall emotion you want your ad to convey. Or it could be simply what mood YOU are in as well. Obviously, the first rule should be legibility. You only have a few seconds to grab your potential customer with your headline and have them stay interested in what you are selling or saying, before they move onto the next ad. So, how do you choose? Look at your layout. A slightly busier layout may call for a bold font, such as Helvetica Bold, Helvetica Black or even Helvetica Heavy. Granted, the Helvetica font family is widely used, but 99 percent of the time, it just plain works. If you are working with a more minimalist layout, you could be fine in using a thinner or more elegant font, such as Scriptina, Allura or Century Gothic Regular. Here you can even afford to experiment with more unfamiliar fonts that might have more script, or be ornamental. But with these type of fonts, you want to make sure to keep the use of these fonts to a minimum. Too much can make them hard to read. Also, in picking a unique font, you may run into the issue of your piece becoming “dated”. Be wary of these type trends. You want your type to match its message and/or your design. Recently, we produced a campaign that centered around how long a certain company has been in business. Since their business started in 1971, a font with a seventies vibe was used and worked beautifully. 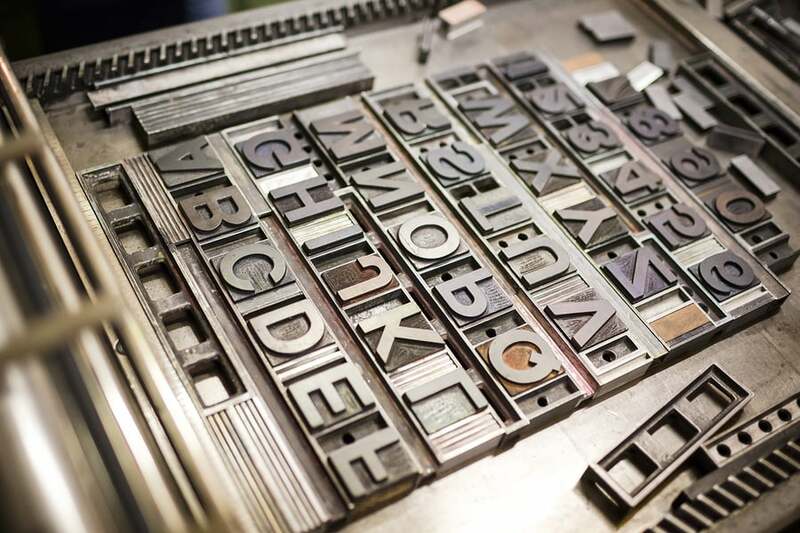 Sticking with the legibility issue, it’s best to have the body copy kept to a simple font such as the stalwart Helvetica or Times, or even Garamond. Arguably, you want your body copy to be the most readable. Pick a font that works well whether it’s large or small. Most designers oftentimes have a stable of fonts they are comfortable with and will tend to use them often. Usually, within these favorite fonts, they will have a variety of weights (light, regular, bold, black, heavy) and options for the font to be italicized or condensed. The more versatile, the better. These options come in handy. But along those lines, limit your actual typefaces. Too many different fonts will be too busy and can cause havoc on the potential customer’s eyes. Does the piece call for a modern and/or edgy look? Take a few steps back and see which one grabs your attention. A lot of times, you can just go with your gut. As mentioned earlier, there are thousands of fonts to choose from, so have fun!